Bermuda-based Catlin Group Limited is partnering with the Natural History Museum in London to present a major exhibition that will explore the importance and beauty of coral reefs. ‘Coral Reefs: Secret Cities of the Sea’ will include a live coral reef; the opportunity for visitors to take a virtual dive to explore coral reefs around the world; and more than 200 natural specimens such as corals, fish and fossils. The exhibition, to be held at the Natural History Museum, will open on 27 March 2015 and run through September 2015. 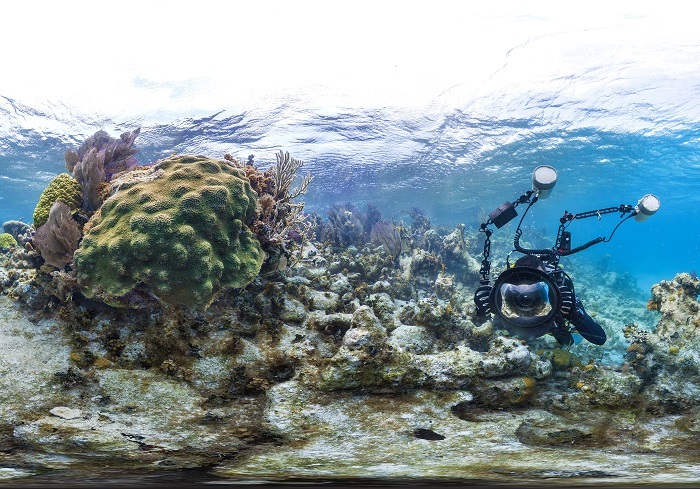 For the past three years, Catlin has sponsored the Catlin Seaview Survey, a series of scientific expeditions utilising pioneering underwater imaging technology to study the changes occurring to coral reefs, one of the most distinctive features of our planet’s oceans. Tropical coral reefs are found in shallow waters and are home to almost a quarter of all living species in the sea. While coral reefs only make up around 0.1 per cent of the earth’s surface, more than 500 million people depend on them for their livelihood. The benefits they provide – such as fishing, tourism, pharmaceutical research and protection from storms – are estimated to be worth billions of dollars a year. Dr Ken Johnson, coral researcher at the Natural History Museum, comments: “Coral reefs are not simply beautiful environments; they provide food, income and storm protection for many millions of people around the world. The museum has an exceptional collection of corals from ancient and modern reefs that we have been studying to understand how these animals, and the diverse habitats they create, have responded to changes in the ocean. The stunning imagery captured by the Catlin Seaview Survey will be an integral part of the exhibition. Visitors to ‘Coral Reefs: Secret Cities of the Sea’ will be able to feel what it is like to navigate through coral reefs via high-definition panoramic views displayed on special screens. The exhibition will also contain more than 200 specimens from the Natural History Museum’s vast collections, including some collected by Charles Darwin on his HMS Beagle expedition from 1831-1836, a giant washing machine-sized Turbinaria coral, and some of the strange and spectacular creatures that call the reefs home, from the venomous blue-ringed octopus to tiny sponge crabs.